Woodlands Motel & Apartments are in the city of Dunedin, next to the university. Self-contained apartments with free Wi-Fi are on offer, only 200 metres from the main shopping street. Quest is situated in the centre of Dunedin and is only 600 metres from The Octagon. It offers modern apartments with a flat-screen cable TV with DVD player. 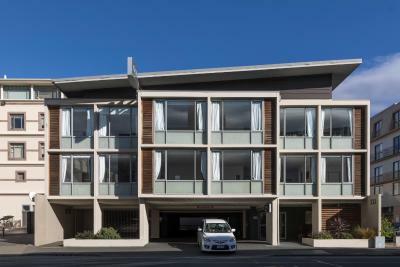 Roslyn Apartments offers modern accommodation with great views of Dunedin city and harbour from the private balcony. Free Wi-Fi internet access and free car parking is available. 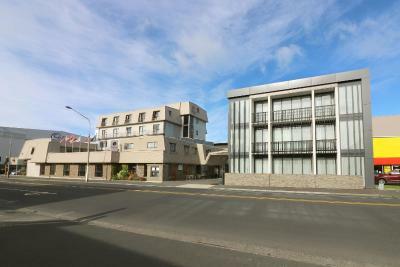 Chapel Apartments offers self-contained accommodation in the heart of Dunedin. Guests have access to free WiFi and limited free car parking on-site with other parking arrangements available. Located on the edge of Dunedin's city centre, Alexis Motor Lodge offers studio and apartment accommodation, with free newspapers each morning and free unlimited WiFi. All rooms have a kitchenette or a fully equipped kitchen. Apartments at St Clair is located a short 50 metres from St Clair Beach, and a 5-minute walk from the seasonal St Clair Salt Water Pool. It offers free parking on site, free Wi-Fi access, and rooms with a fully equipped kitchen. Situated in the heart of Dunedin city centre, 315 Euro Motel and Serviced Apartments offers free Wi-Fi and free onsite parking. All accommodation features a flat-screen TV with more than 50 satellite channels.